But this time wasn’t his first at Orix. The crew had on special T-shirts too, which will be on sale at AP Store soon. 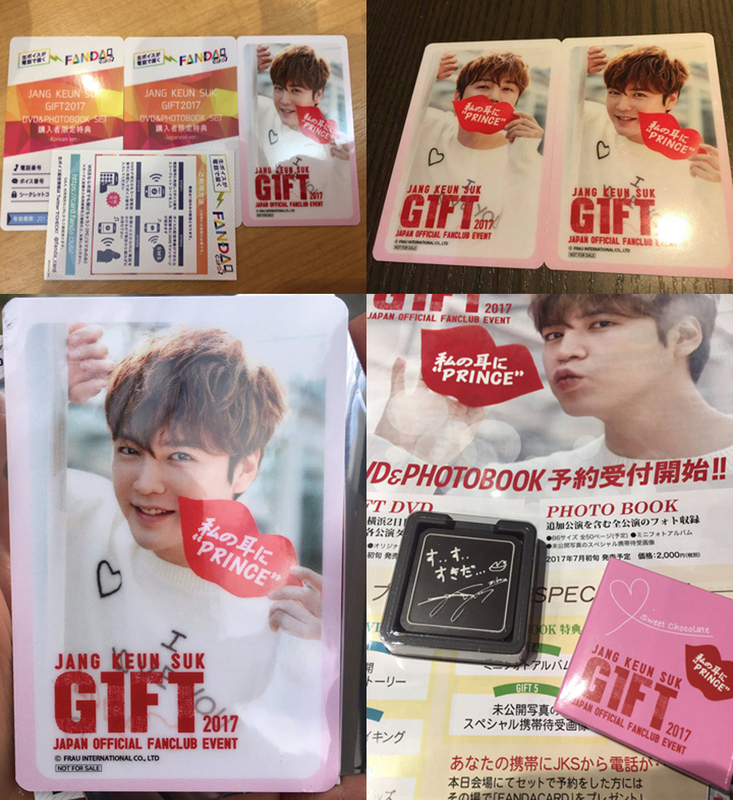 Plus, JKS gave everyone candy...and there were plenty of other goodies too. 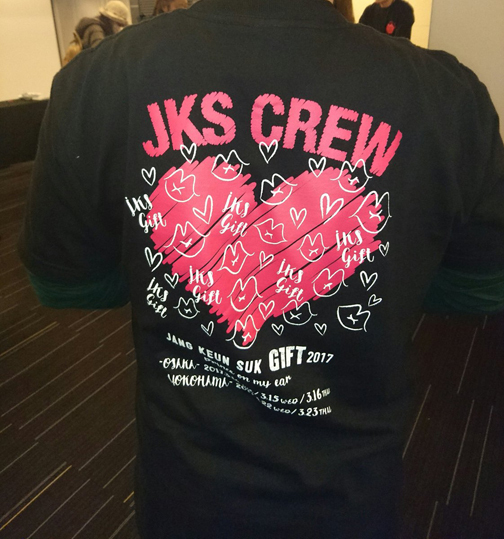 Attendees got a distinct impression that JKS produced this fan meeting, which was totally different than the GIFT fan meeting two years ago. JKS said at the Lotte Valentine FM last month that he had never been much involved in the production of his previous fan meetings, but he had decided to become more involved this year in planning and production of his fan meetings. Anyway…. For the first 10 minutes of the FM, JKS pretended to be alone in his (hotel) room. He danced MiMiMi which he danced in My Ear's Candy. For his own records, JKS films himself when he is drunk. (Kkkkk) He edited the videos and showed it to eels. At the beginning of each video, he shouted, "Hello! I am JKS!!" He said he didn't remember what he did or said when he was drunk. Mama Jang laughed a lot to see a drunken JKS in the video. There seemed to be five segments in FM. 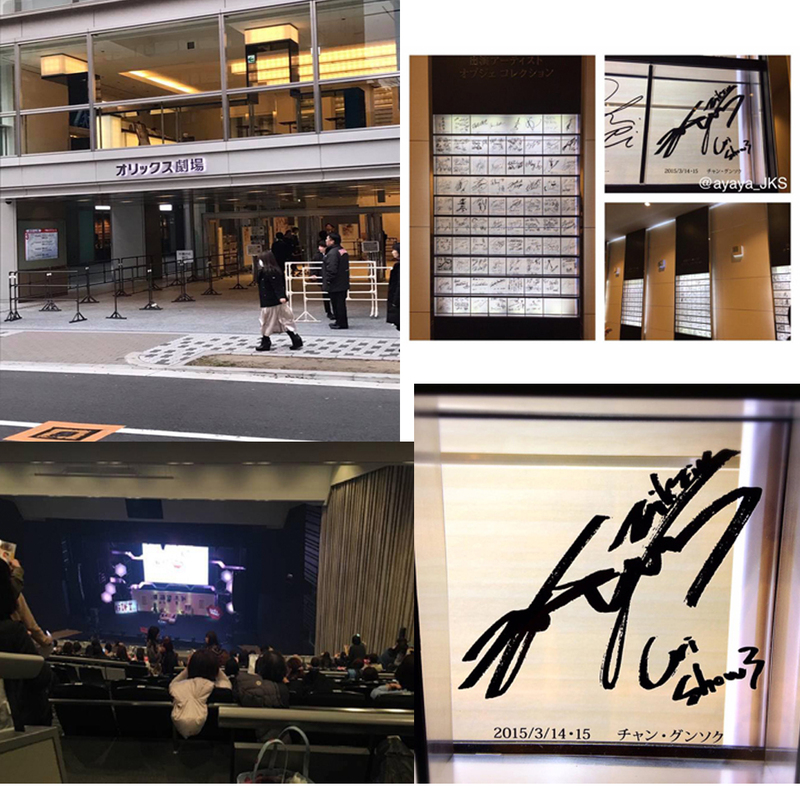 And during the fan meeting, JKS walked through the audiences on all the floors, from the 3 to the 1st floor!! JKS told the audience the he would sing 3 different songs on each stage. He said singing Japanese songs on Karaoke was difficult but he tried very hard. He didn't sing his own songs at all. 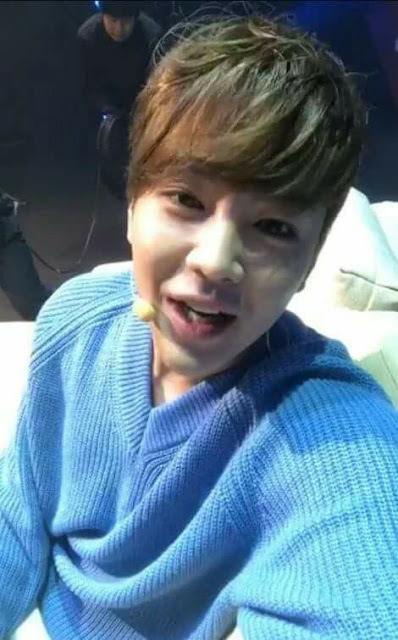 JKS said he goes to Karaoke several times a week, but he is not good at operating a karaoke machine at all!! 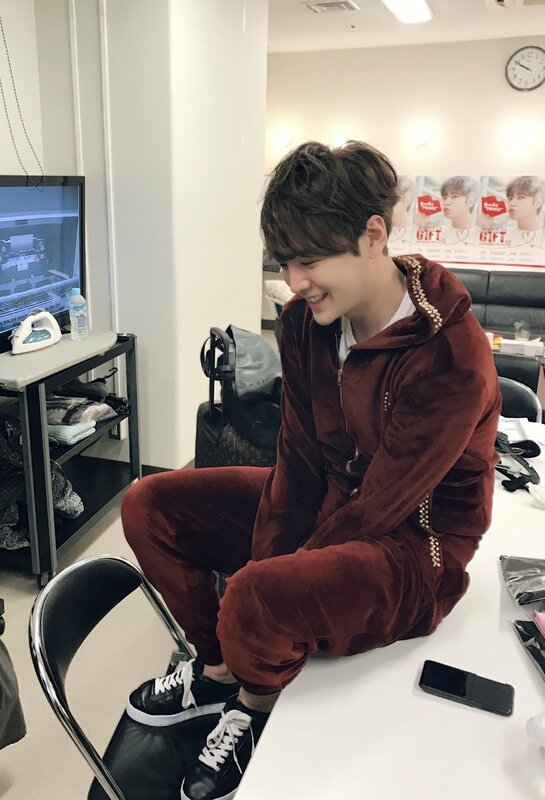 At the end of Karaoke segment JKS said, "From tomorrow I want some eels to sing, too, because singing karaoke here alone is so embarrassing!" During this segment, JKS sang 3 songs including Ozaka Yutaka’s I LOVE YOU. Ozaki was a charismatic Japanese singer. 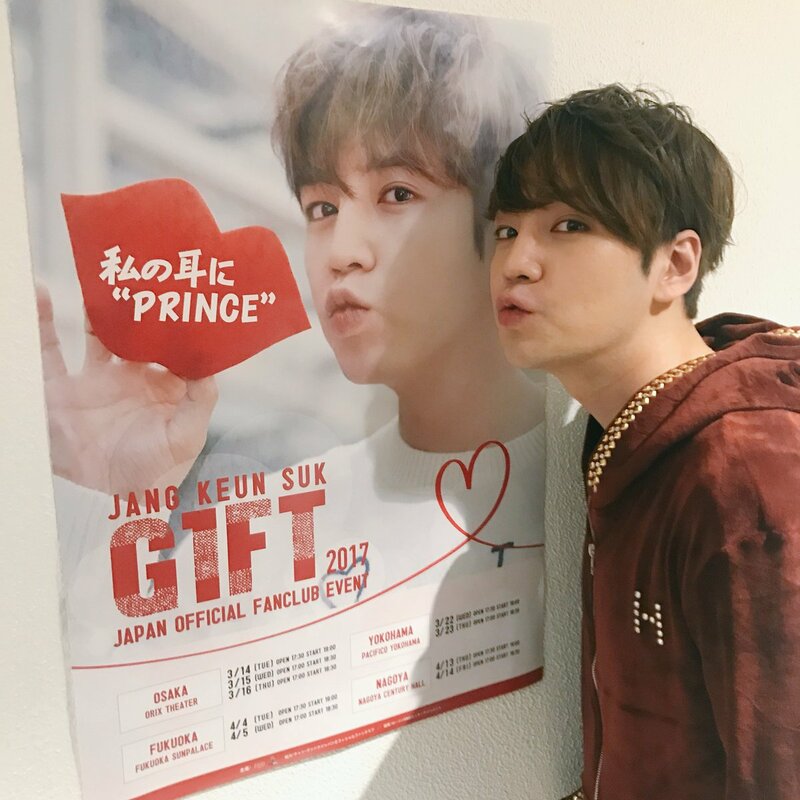 JKS plans to release his film, Nelson Dairy, which he filmed in January, 2016, while in Nelson, New Zealand, on his birthday in August when he becomes 30 (in Gregorian years, not Korean age). He said, "Please anticipate it!" 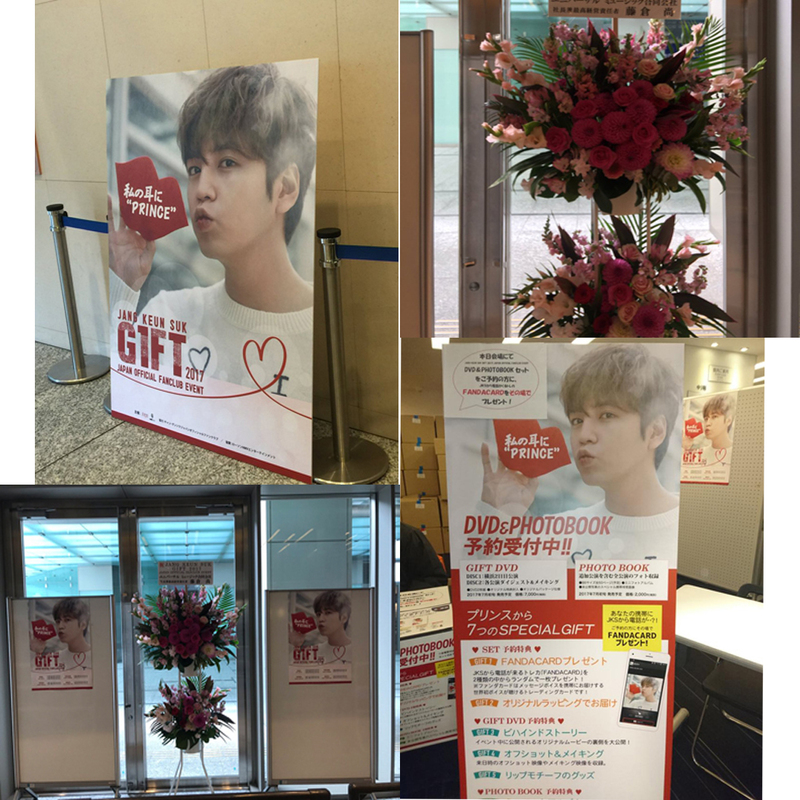 and showed a little bit of the movie to the eels at the venue. 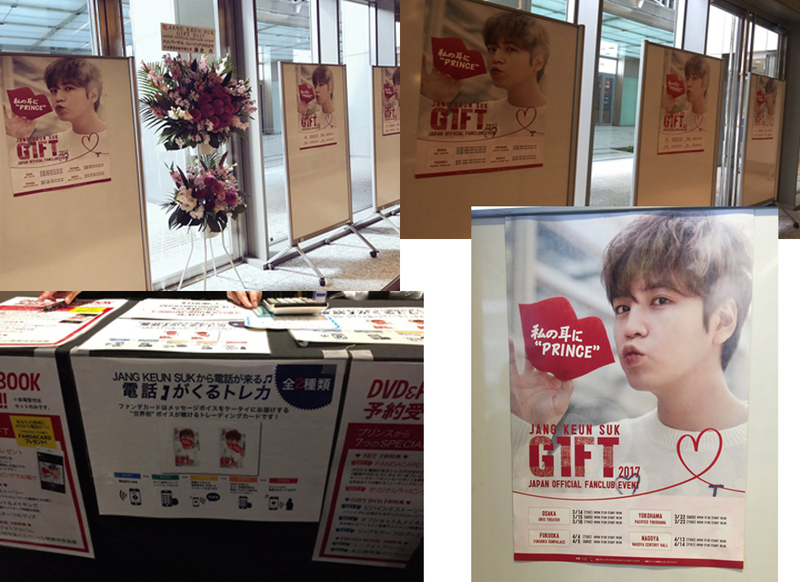 Thus did the first GIFT Fan Meet in Osaka came to an end. But, as usual for many Blue Eels, the end of the 2017 GIFT Fan Meet has not come. Many will attend the second and perhaps the third night in Osaka and maybe follow him to his other venues in Yokohama, Fukuoka, and Nagoya. Thanks Ya-chan for translating and Kaye Toazen for sharing it with us. It does wonders to us reading about what happened at these events! You are very special to us. We are looking forward to tonight's episode! Thanks yo YaChan for translation Like the blog. PS - How can he look so adorable??? You just want to gobble him up!